AR Design Studio is thrilled to announce ‘The Creek House’ has been shortlisted the RIBA South East Regional Awards 2019. The awards will be announced on the 23rd May, good luck to AR Design Studio! 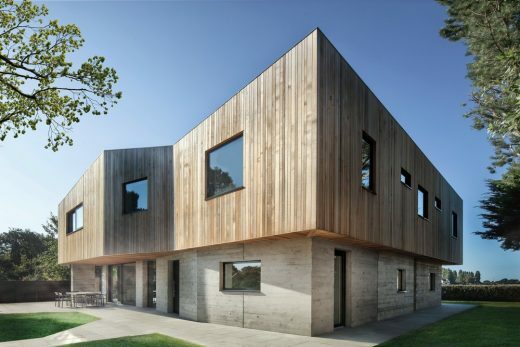 Creek House is a private bespoke new build house located in Bosham, West Sussex, completed in the summer of 2018 by Winchester based architects AR Design Studio. 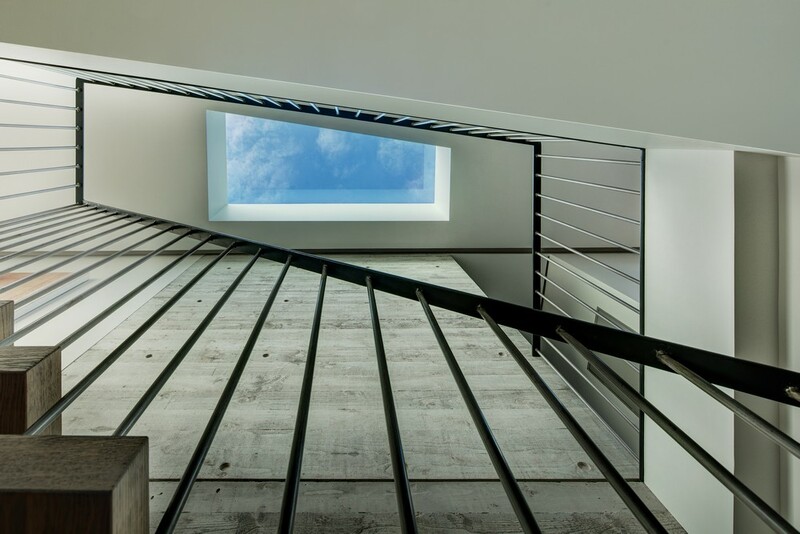 The clients, passionate about design and longstanding active members of the community, came to AR Design Studio in 2015 with a vision for their life-time home in the village. The clients saw potential in this prime location on the periphery of the Bosham estuary, and despite difficult planning constraints, the client’s contemporary vision combined with AR Design Studio’s experience set out to achieve a sensitive design appropriate to the idyllic setting. 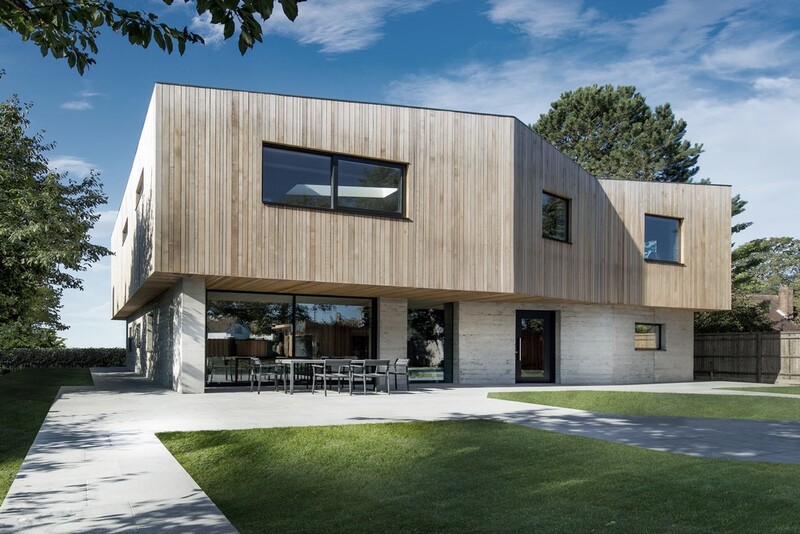 The site is set within the Chichester Harbour Area of Outstanding Natural Beauty and Bosham Conservation Area, striving to protect and enhance the village’s traditional character and significant history. 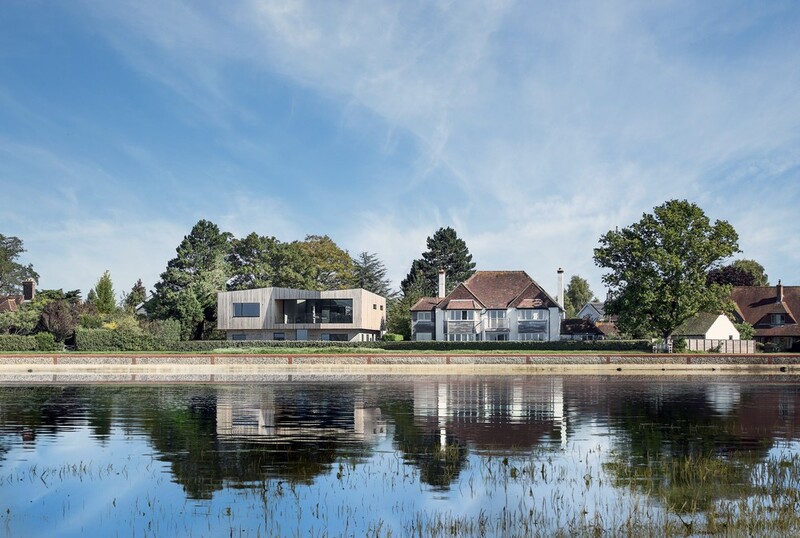 The team at AR, with an extensive water front portfolio, worked closely with both Chichester Harbour Conservancy and the planning department to achieve a sensitive design, but with the unconventional design and exposed site, the scheme attracted its share of public attention. 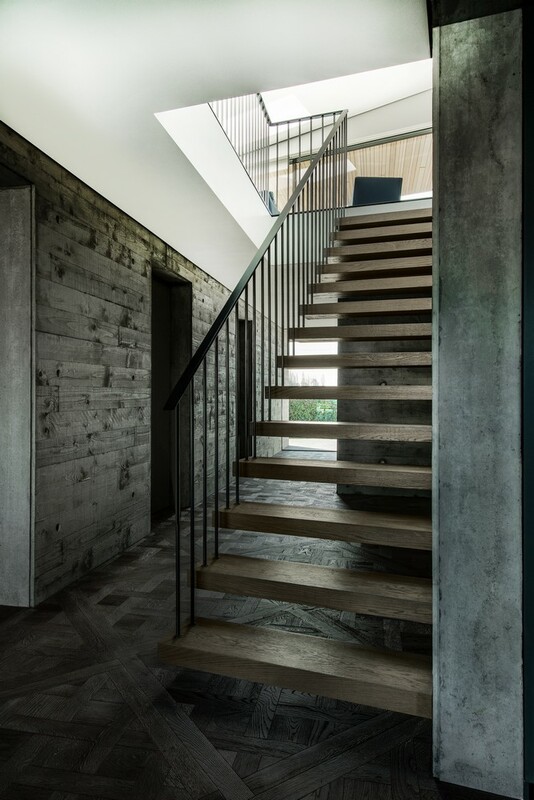 The Creek House subtly draws influence from the geometries and materials of the sensitive context of Chichester, whilst achieving a contemporary design that undoubtedly challenges the vernacular of the area. 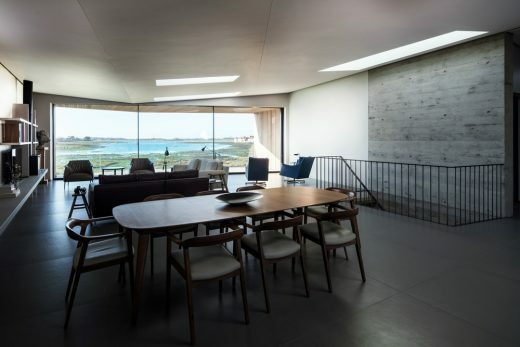 The proposal now sits along the estuary alongside an architecturally acclaimed house designed by the renowned architect, Michael Manser, setting contemporary precedence for the future. 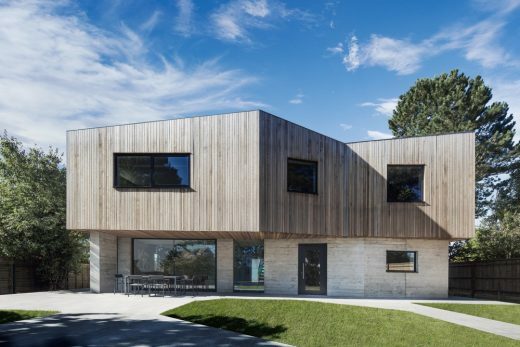 The unique form was derived from the Bosham vernacular; the design team carried out a series of sketch studies analysing the harbour, establishing a collage of typically traditional pitched roofs. 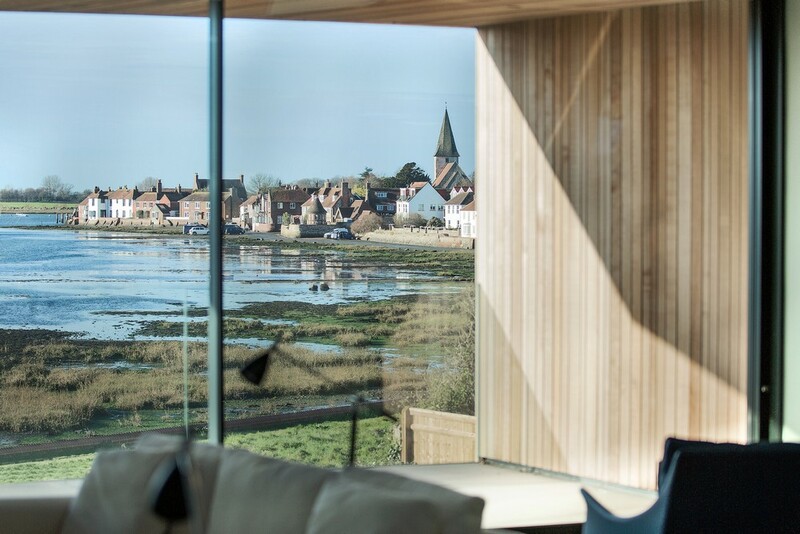 This was then abstracted into one form, the visual movement of the silhouette merging with the Bosham skyline. 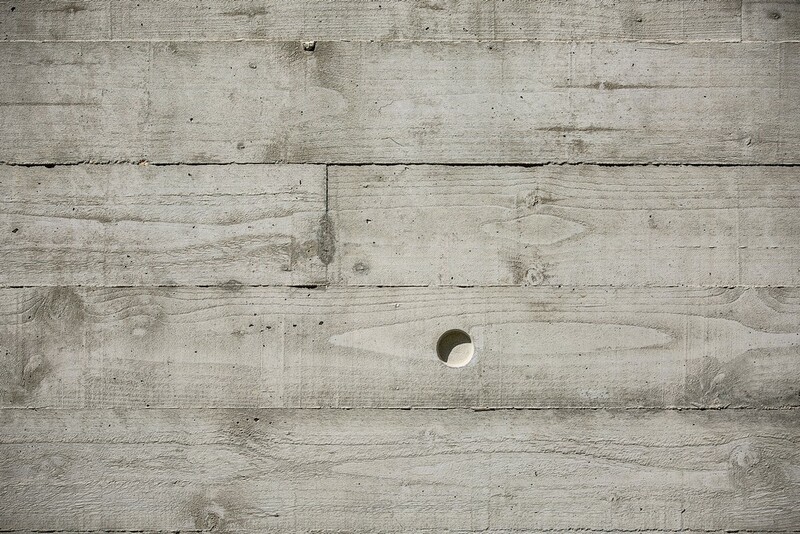 This movement is also mimicked in the water, the estuary being tidal and therefore the prospect from the water’s edge always changing. The scheme revolves around these desirable views seen from the site over the harbour, principally informing the concept of upside-down living. 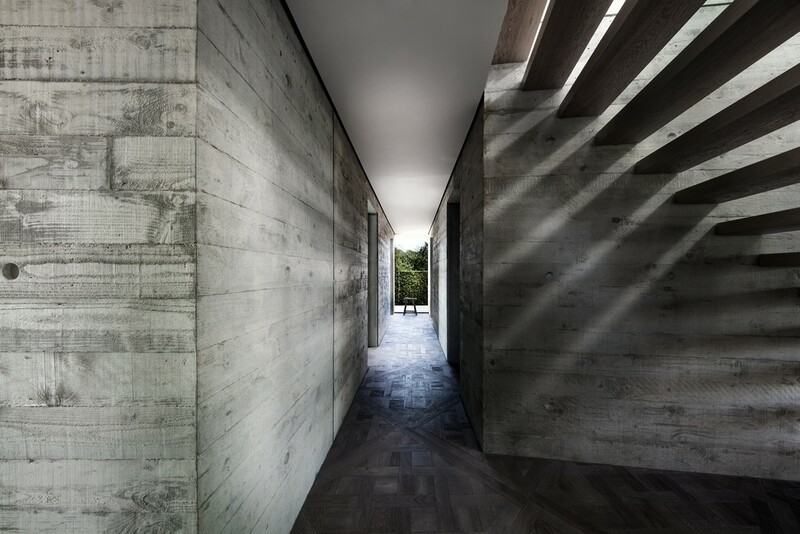 Grounding the project, the concrete base breaks down into three blocks with smaller openings for privacy in the bedrooms, with the dimly lit passages between drawing the eye towards key aspects. 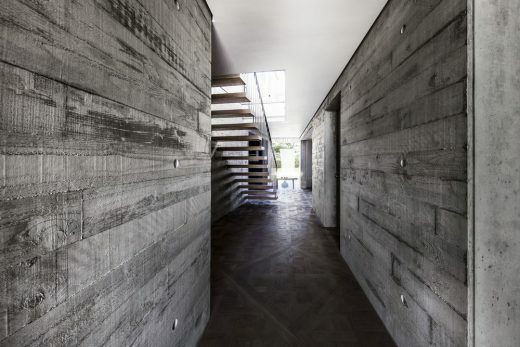 Much like a defensive sea wall, the concrete creates a sense of protection from the elements. The tone, texture and tactility of the material draws inspiration from the nearby Holy Trinity Church, known for the speculated burial of the last Anglo-Saxon King, Harold Godwinson. 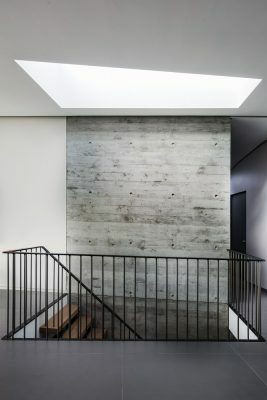 From above, a curious beam of light falls onto the concrete walls through the timber stair void, the angle of the light rotating throughout the day. The concrete base acts as a plinth to elevate a carefully sculpted timber form, its materiality delicately contrasting the concrete with its soft, natural feel, that will weather and age with the tree lined setting. The volume cranks to open up the living space to views over the Bosham estuary, creating an active silhouette seen from the water. 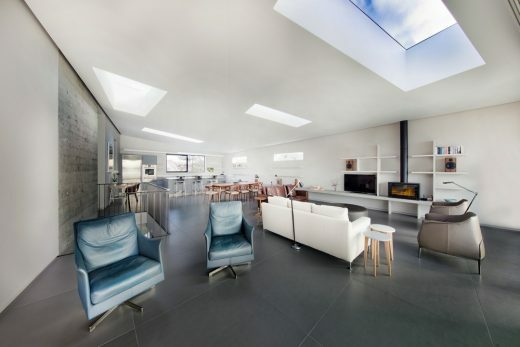 Skylights are also introduced into the deep living space flooding the timber volume with natural light, whilst smaller apertures are maintained in the master-ensuite for picture-perfect views. 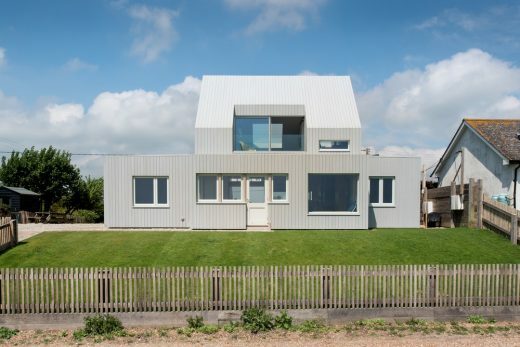 Despite the unconventional house layout and brief, as the clients get older the design intent will not be lost. 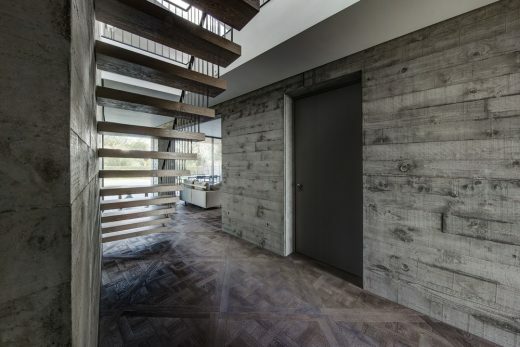 To accommodate the life-time of the owners, the house has some clever features for it to adapt including a hidden platform lift if the stairs were to ever become unusable, and a laundry chute going from the master bed to the utility room on the ground floor. 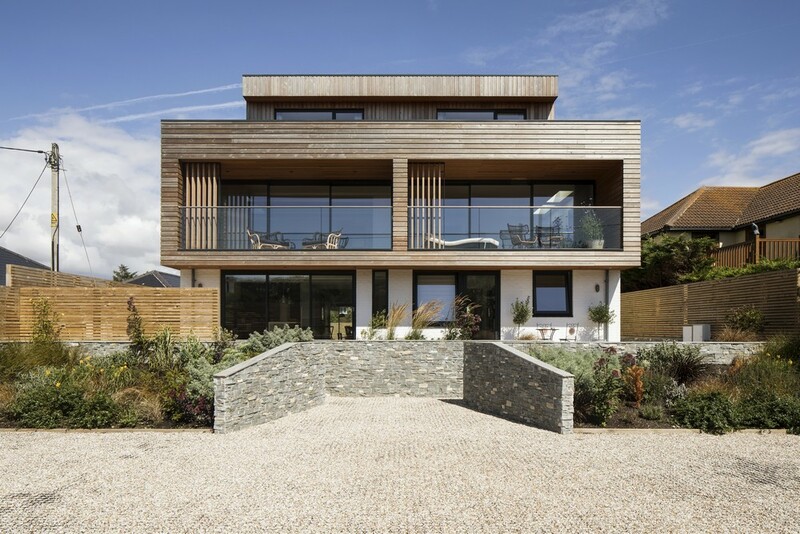 The scheme now sits on the harbour edge as a playful yet site specific response that will mature over time, enhancing the architectural distinctiveness of the area. The ‘Marmite’ nature of the design creates a truly one-off house along the estuary for the clients to enjoy into their retirement, and continues to stir discussion in the area. 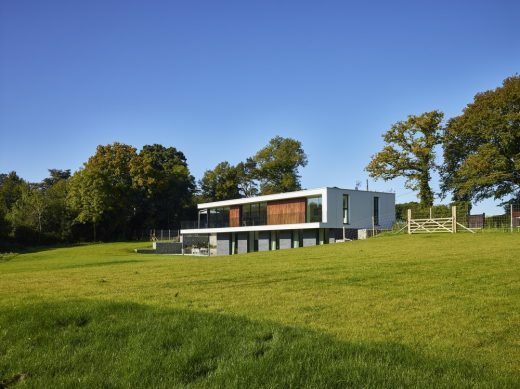 AR Design Studio is an RIBA chartered architect’s practice, based in Winchester, Hampshire, specialising in elegant and imaginative contemporary new homes, extensions, renovations, interiors and multi-plot developments. AR Design Studio’s architectural expertise and flair has been recognised by winning a number of prestigious industry awards including the Royal Institute of British Architects (RIBA) South East 2018 Award, the RIBA South West Award 2017, American Architecture Award 2017 and the UK Property Awards 2017, in addition to being longlisted for Grand Designs House of the Year Award 2018. 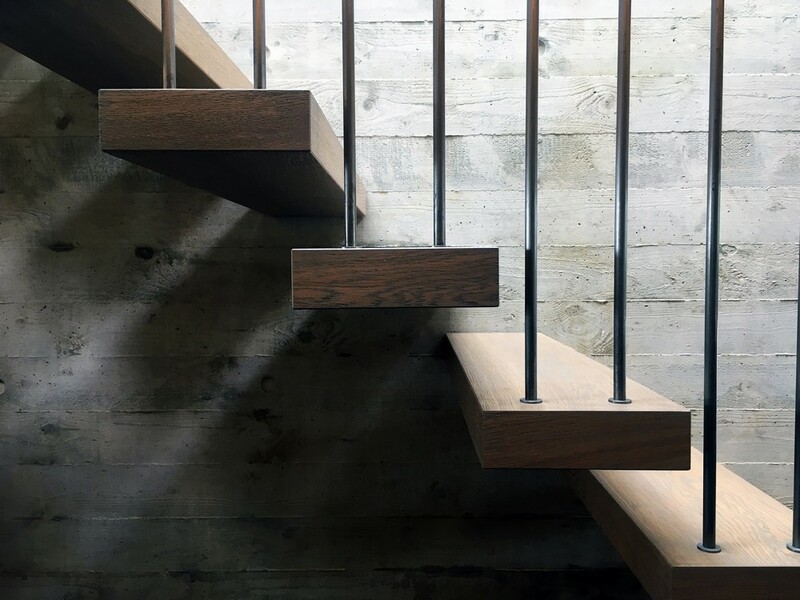 With a comprehensive knowledge of planning, AR Design Studio has built a stunning portfolio of bespoke residential projects.